Everybody knows that Apple is rich and powerful. So few will be surprised to learn that, despite showing up to the party late, the Cupertino company now appears to be winning some key battles in the streaming music wars. According to The Wall Street Journal, Apple Music is about to overtake Spotify as the most popular streaming music service in the United States. In fact, it may have already done it. The WSJ report is necessarily sketchy, though its conclusions feel inevitable. Because Spotify and Apple don’t report precise user numbers, the newspaper sifts through what we do know about each company’s growth as well as ways to predict how many people (paid or unpaid) are using the services. Unnamed “people in the record business familiar with figures” told WSJ that Apple Music is adding new US subscribers at a monthly growth rate of 5 percent, while Spotify trails at 2 percent. It doesn’t take much math to realize that Apple poses a real threat to Spotify at something that Spotify essentially invented ten years ago. Apple Music’s success must seem almost insulting to Spotify, too, since the Swedish company is supposedly preparing for an initial public offering (IPO). These numbers only provide part of the picture, however. While Spotify did say that it reached 70 million global subscribers last month, it looks like Apple Music and its 36 million global subscribers is now dominating the US market which also happens to be the largest music market in the world. In its latest earnings report, Apple did not specify how many subscribers were in the US, though it did say that its service category, of which Apple Music is a part, saw an 18 percent jump in revenue. Even without the millions and millions of people currently enjoying their free trials, Apple Music’s US subscribers are now roughly equal to Spotify’s, according to the WSJ report. If you include those unpaid trials—and assume lots of them will forget to cancel once the billing kicks in—Apple Music might already be beating Spotify stateside. So those are some dizzying stats, but here’s where the inevitability comes into play. Because all Apple devices come preloaded with Apple Music, countless consumers start using Apple Music without knowing any better. It’s effectively become the streaming music analogue of Microsoft pushing people to surf the web with Internet Explorer. The big difference is that people eventually have to pay for Apple Music, which is the same price as Spotify. As many suspected when it launched three years ago, Apple Music was bound to succeed simply because Apple is big enough and rich enough to will it so. Think about it this way: Spotify gained traction quickly after its 2011 launch, largely because music enthusiasts had seen its streaming model succeed globally and wanted to try this neat new thing. After all, there wasn’t anything quite like it at the time, and Americans love to feel innovative. But eventually, Spotify would cease to feel special and new. As the years passed, practically every major tech company launched its own music streaming service. Google Play Music launched just a few months after Spotify’s US launch, followed by Amazon Prime Music, YouTube Music, and Tidal over the next few years. All of these services offered tens of millions of songs, just like Spotify, and they all cost about the same. And then, in 2015, Apple unveiled Apple Music—which was really just a rebranded version of Beats Music, part of Apple’s $3 billion acquisition of Beats. It was clear how the new service would succeed. Because Apple could preload the service on iPhones, Watches, and Macs, the company could effectively tap into a new revenue stream without actually inventing anything. And once those people were paying those monthly fees, Apple could keep them hooked by adding exclusive content like the latest Chance the Rapper album. Apple even convinced (read: paid) Taylor Swift to make streaming rights to her music exclusive to Apple Music for a year and a half. It’s also increasingly apparent that Apple wants people to subscribe to Apple Music for more than just music. The company is about to start making high quality TV shows and, eventually, movies. In the past few months, Apple has quietly inked contracts with Hollywood heavy-hitters like Steven Spielberg, Reese Witherspoon, Jennifer Aniston, Dr. Dre, Kristen Wiig, and Ronald D. Moore of Battlestar Galactica fame. It’s unclear exactly how Apple will distribute all of this sweet premium video content, but since earlier Apple shows like Carpool Karaoke debuted on Apple Music, you can bet that the newer, better shows will, too. That said, Apple’s past attempts at original programming have been such pitiful failures, who knows what will happen. What we do know is that Apple will sell lots of HomePods in the months to come. The new Siri-enabled smart speaker will join the Amazon Echo and the Google Home in the great quest to put a voice assistant in every American home. Unlike its competitors, though, the HomePod will favor Apple products. That means you can ask Siri to play Daft Punk on Apple Music, but you cannot ask Siri to play Daft Punk on Spotify. You’ll only be able to use non-Apple Music services by connecting to the HomePod through AirPlay. Siri simply doesn’t support Spotify on the HomePod. None of this is to say that Apple Music is any better than Spotify. It would also be naive to believe that Spotify will cease to exist. However, if the Journal’s numbers are correct and the trends continue, Spotify might cease to be synonymous with streaming music. 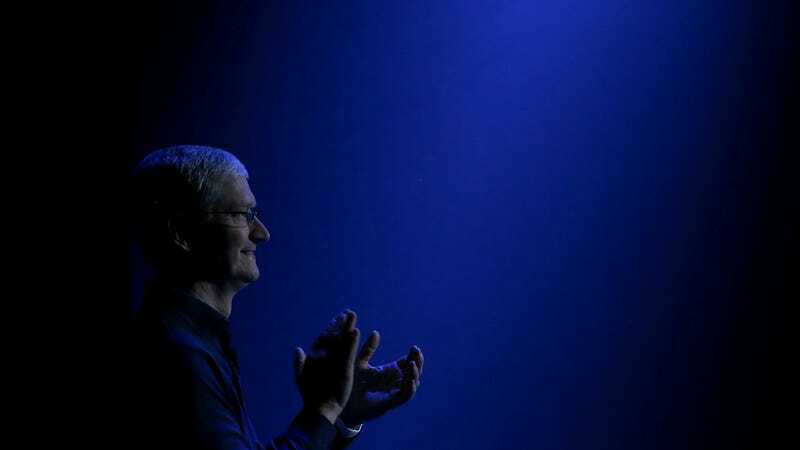 It looks like Apple will win again—not because the underdog can’t hack it but because money can buy success.